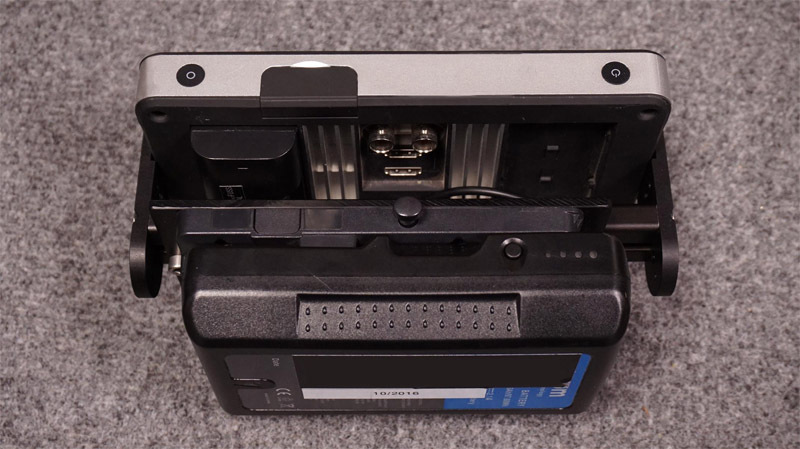 With our 702 Battery Back Bracket you can mount a V-lock or an Anton Bauer battery to the back of your smallHD 702 monitor. 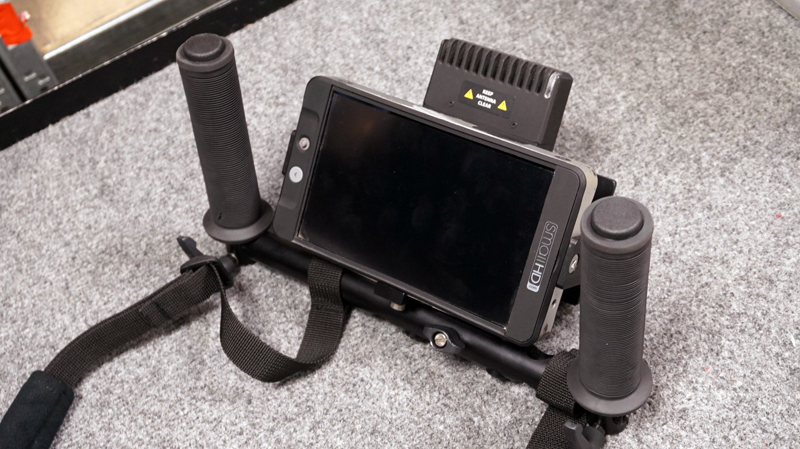 With our 702 BB Bracket you can mount a V-lock or an Anton Bauer battery to the back of your smallHD 702 monitor. Different Batteries (v-lock or AB) can be adjusted side to side, so you can center your batteries perfectly on the smallHD 702 monitor. 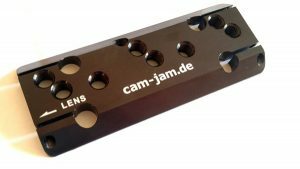 Anton Bauer plates and IDX plates can be used on our CAM-JAM BB bracket. 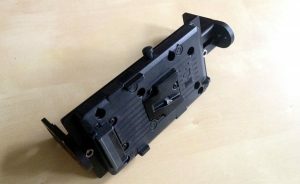 Also the V-Mount plates from Anton Bauer works well.
! 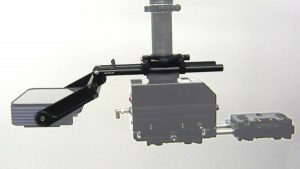 !You will need a D-Tap to canon dummy battery cable from smallHD and a V-lock or AB plate!!
! 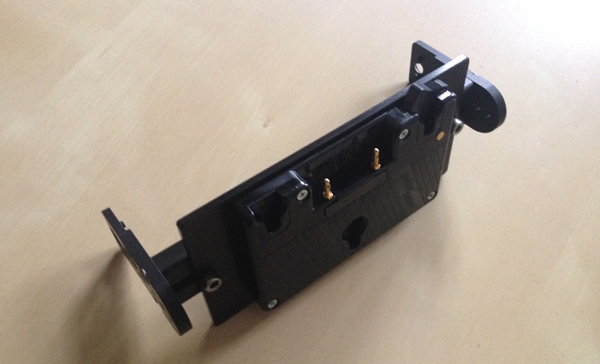 !No battery plate and dummy battery is shipped with this product!! You´ll need a 90° BNC connector for SDI in and out. CAM-JAM Director’s Monitor Hand Grips!